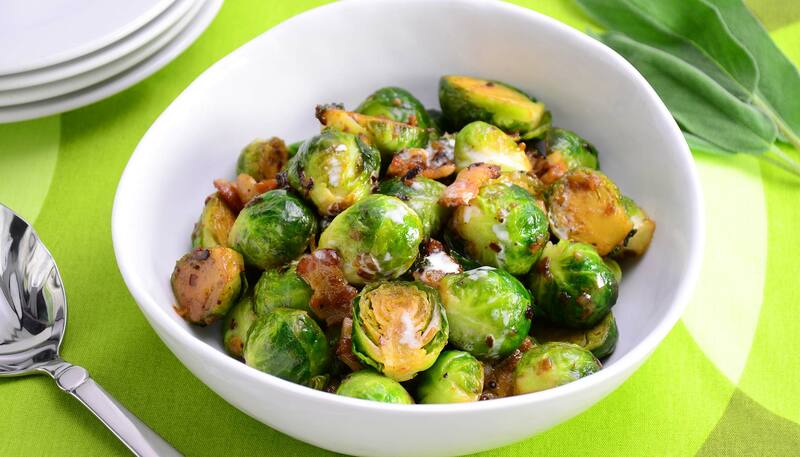 Brussels sprouts is a popular vegetable that is often used in French cuisine. 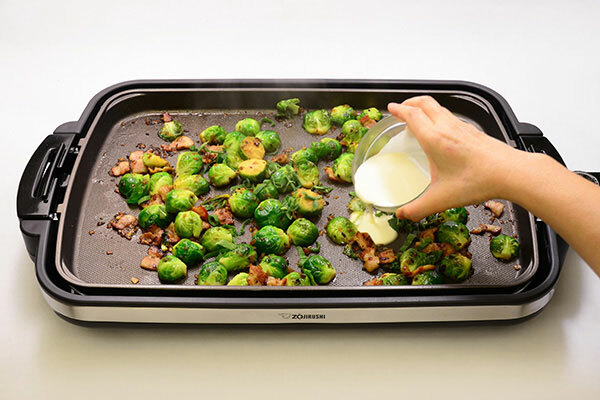 The butter sautèed bacon, shallots and brussels sprouts make a tasty side dish that will accompany any meal! 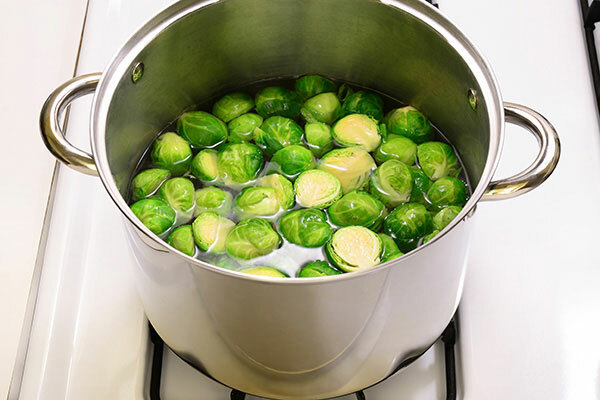 In a large pot, boil water and add a pinch of salt (not in ingredients list). 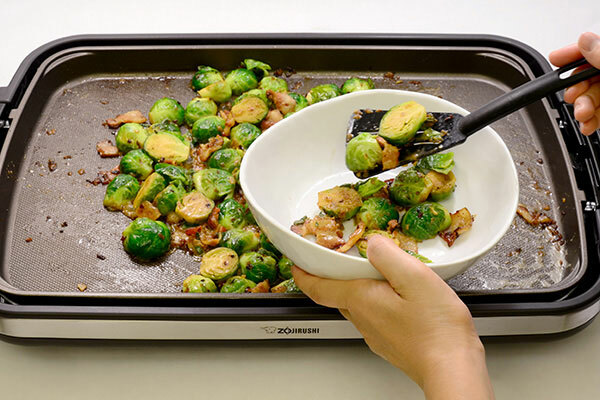 Blanch brussels sprouts for 2 to 4 minutes depending on the size. Drain water and set aside. 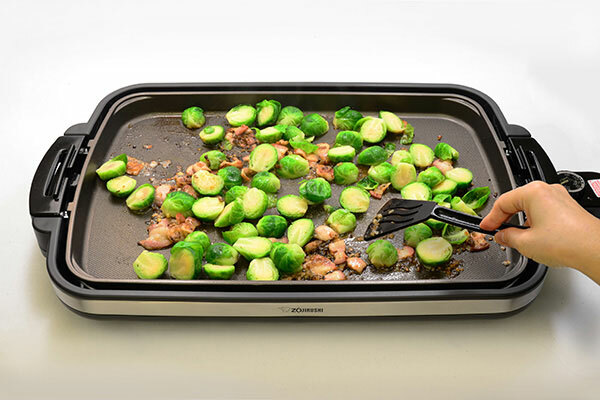 Turn the Gourmet d’ Expert® Electric Griddle (EA-DCC10) control knob to 300ºF. 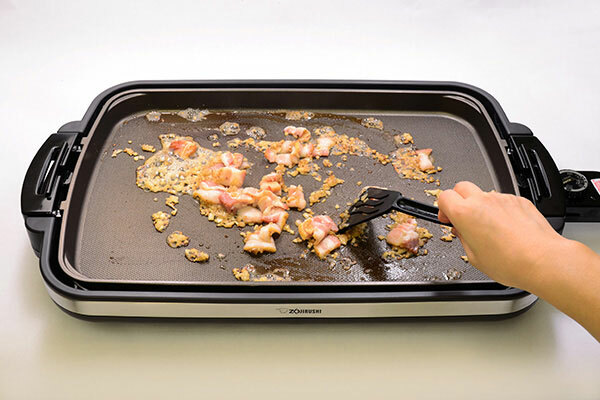 When the pilot lamp turns off, melt butter and sauté shallots for 10 seconds then add bacon. Continue to sauté for one minute. 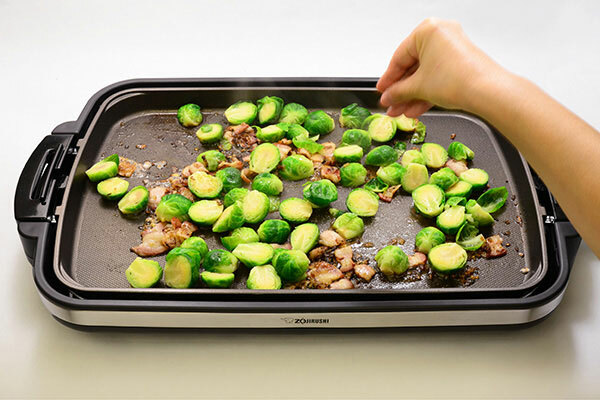 Add brussels sprouts to the griddle, sprinkle salt and pepper. 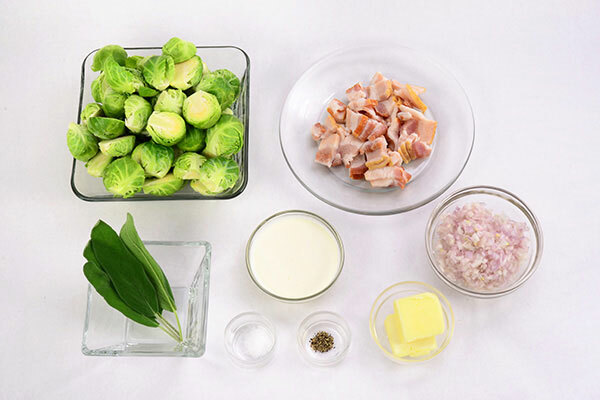 Occasionally stir and cook for 8 - 10 minutes or until brussels sprouts become tender. Add sage leaves and heavy cream to the griddle and mix well. Check and adjust the taste with salt and pepper. Turn heat off and serve while hot. Enjoy!